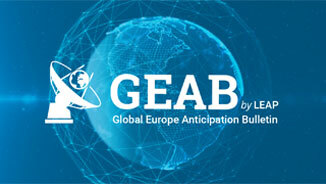 Home Les bulletins GEAB GEAB 109 Will the Euro survive beyond 2017? Will the Euro survive beyond 2017? We have claimed at great length in previous issues of the GEAB that neither of the two election candidates – Clinton or Trump – would be a good thing for the United States. The verdict has now been passed and it is Trump who will be elected president. Among all the uncertainties that remain, we must now understand the subsequent challenges that threaten the rest of the world; especially the Euro zone. 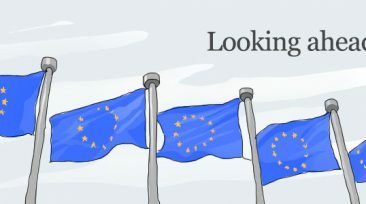 Technically, new opportunities for a greater European independence are now to be seized, but will we be able to seize them? 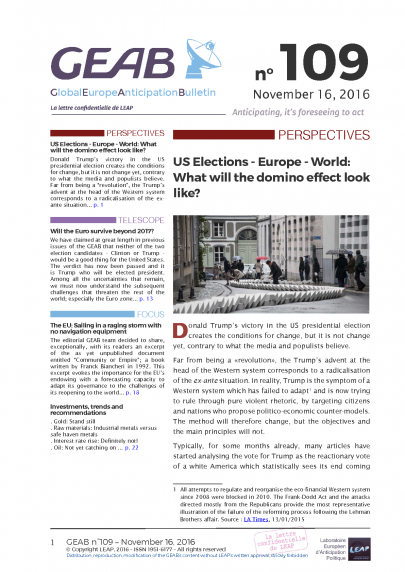 US Elections – Europe – World: What will the domino effect look like?